MUMBAI/BENGALURU, Feb 24 (Reuters) – Gold demand in Asia remained sluggish this week as a price rally on political concerns and dollar weakness kept buyers on the sidelines. The yellow metal has gained 1.6 percent this week, hitting its highest in about 3-1/2-months on Friday, as the dollar softened and uncertainties surrounding U.S. President Donald Trump’s policies and elections in Europe fuelled safe-haven demand. Traders said both retail buyers and jewellers were hesitating to chase higher prices in India, the world’s second-largest consumer of the metal. “They (buyers) think prices will not sustain at higher levels,” said Harshad Ajmera, the proprietor of JJ Gold House, a wholesaler in the eastern Indian city of Kolkata. In the local market, gold futures closed at 29,451 rupees per 10 gram on Thursday, and have risen nearly 10 percent since falling to 26,862 rupees in December 2016, the lowest since Feb. 2, 2016. Dealers in India were charging a premium of up to $1 an ounce this week over official domestic prices, compared with a discount of $1 last week. The domestic price includes a 10 percent import tax. Dealers are charging premiums amid weak demand as they think demand will revive even if prices sustain at current levels for a week, Ajmera said. 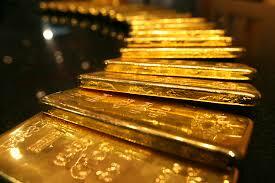 India’s gold imports in January fell 30 percent from a year ago to $2.04 billion. “Smuggling has gone down due to demonetisation. This has also been helping banks in charging premiums,” said a Mumbai-based bank dealer with a private bank. Smuggled gold avoids import duties and makes its way on to the so-called “grey market” where it is usually sold to end-users at a discount. Premiums in China, the world’s top consumer, were quoted around $7-$8 over international spot prices , compared with $8-$10 last week. “The demand continues to be very soft. There is little bit of buying as only few people are willing to buy at these levels,” said Ronald Leung, chief dealer at Lee Cheong Gold Dealers in Hong Kong. Premiums in Hong Kong and Singapore were around 90 cents to $1, while prices in Japan were at a discount of 50 cents to $1, unchanged from the previous week. “The selling continues to increase rather than buying due to firm prices,” said a Tokyo-based trader.